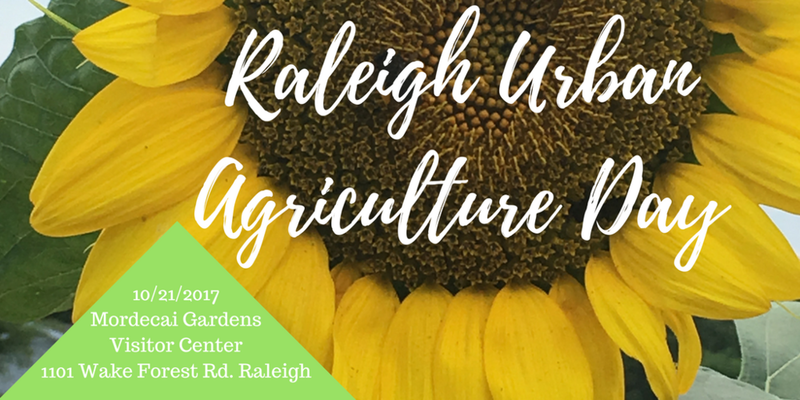 It's Raleigh Urban Agriculture Day - 2017 ! It's Urban Agriculture Day in Raleigh! Saturday, October 21st at the Historic Mordecai Gardens Visitor Center at 1101 Wake Forest Rd. in Raleigh, NC! Come and learn about innovative urban agriculture projects that won mini-grants from the City of Raleigh's Environmental Advisory Board and how to apply for your own grant. Take a tour of the beautiful and historic Mordecai Gardens. Hear from a panel of innovators talking about their exciting urban agriculture programs in Raleigh. This event is sponsored by the City of Oaks Foundation, in partnership with the Raleigh Environmental Advisory Board and the Raleigh City Manager's Office of Sustainability. Donations to support the event are accepted. Sponsorship opportunities are also available.